Pete's Garage's #1 priority is the safety of our customers and their family, with that in mind we also want to help you protect your investment with car repair and maintenance. We service all makes and models of cars, trucks, and SUV. We can also service your fleet of cars, vans and trucks. Free diagnostic inspection and estimate. Our expert technicians also advise on any upcoming maintenance your car may need. We can provide you with a maintenance schedule. 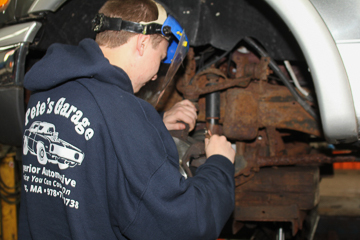 ​Contact us to learn about our car repair to get your vehicle back in tip-top shape.